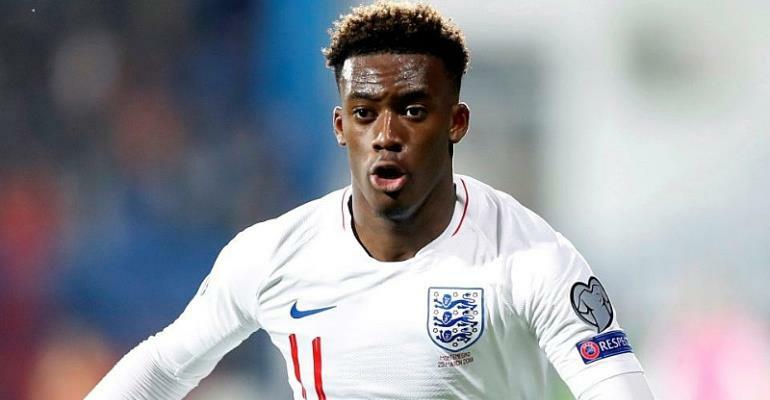 English born Ghanaian youngster, Callum Hudson-Odoi became a victim of racial abuse during England’s Euro 2020 qualifier against Montenegro. Hudson-Odoi together with Raheem Sterling and Danny Rose received monkey chants from the home fans, an action which is currently being probed by UEFA. The highly-rated winger officially committed himself to his country of birth (England) after making his senior debut against Czech Republic over the weekend. The Bayern Munich target got a bitter side in his second game for the Three Lions after receiving chants from the stands and have urged UEFA to take immediate action. “We are equal and play a fair game and enjoy it, but when you hear that it’s not right and it’s unacceptable and hopefully Uefa deal with it because when I was over there me and Rosey heard it,” he is quoted by thesun.co.uk. “They were saying ‘ooh ooh ah’ monkey stuff, so you just have to keep your heads and keep a strong mentality and hopefully Rosey is okay. “If anything we will have a chat but he is a strong guy as well. Hopefully, Uefa will do something about it. It’s not right.